As used herein, the term "personal information" generally refers to information that specifically identifies an individual (such as user's name, address, telephone number, email address, credit card or other account number) or that is associated with an identifiable person. Personal information also does not include "aggregate" information, which is data we collect about the use of the Site or categories of Site users, from which any personal information has been removed. For example, information that fifty-one percent of the Site's registered users identify themselves as male, is aggregate information. We collect aggregate data for a number of purposes, including to help us understand trends and user needs so that we can better consider new publications, products and services, and tailor existing publications, products and services to user desires. This policy in no way limits or restricts our collection of aggregate information. 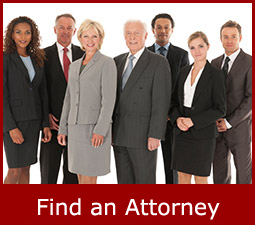 Various personal information may be collected from you in a number of ways when you use the services on our Site. At several places on our Site, we may collect certain information you voluntarily provide to us which may contain personal information. For example, if you register for the Site, send us an email, we may collect your name, address, phone number, email address. If you are a professional and claim or update your profile ("Profile"), we may also collect your credit card information, photographs and professional and business information about you, your practice or specialty areas and your educational background. In addition, from time to time we may collect demographic, contact or other personal or demographic information you provide in connection with your registered membership. When you visit our Site, some information is also automatically collected through the use of log files, such as your computer's Internet Protocol (IP) address, your computer's operating system, the browser type, the address of a referring web site and your activity on the Site. We use this information for purposes such as analyzing trends, administering the Site, improving customer service, diagnosing problems with our servers, tracking user movement, and gathering broad demographic information for aggregate use. We may also automatically collect certain information through the use of "cookies." Cookies are small data files that are stored on a user's hard drive at the request of a Web site to enable the site to recognize users who have previously visited them and retain certain information such as customer preferences and history. If we combine cookies with or link them to any of the personally identifying information, we would treat this information as personal information. If you wish to block, erase, or be warned of cookies, please refer to your browser instructions or help screen to learn about these functions. However, if your browser is set not to accept cookies or if a user rejects a cookie, you will not be able to sign in to your The U.S. Will Registry account or professional Profile and will not be able to access certain Site features or services. We may also use third parties to serve ads on the Site, provide certain functionalities (such as maps), or to collect, track and analyze non-personally identifiable usage and volume statistical information from users, such as the user's browser type, operating system, browsing behavior and demographic information. These third parties may collect personal information from you in connection with the services they provide and may place cookies, web beacons or other devices on your computer to collect non personal information which may be used, among other things, to deliver advertising targeted to your interests and to better understand the usage and visitation of our Site and the other sites tracked by these third parties. 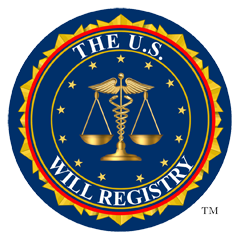 If you do not want The U.S. Will Registry and its marketing service provider to follow your usage of our services via cookies and Web beacons, you can opt out by sending us an email at optout@theuswillregistry.org. We are not responsible for, and do not control, any actions or policies of any third party service providers. Without limiting the generality of the foregoing, Google Maps imagery is supplied by Google, Inc., and use thereof is subject to the Google Privacy Statement. -for the specific purpose for which the information was provided. In addition, we may use the information we collect to send you news relevant to your profession, product and service updates, notifications of activity in your profile, to contact you about special events, promotions or offers and for other marketing, informational, product development and promotional purposes. The U.S. Will Registry endeavors to secure your personal information from unauthorized access, use or disclosure by putting into place physical, electronic and managerial procedures to safeguard the information we collect through this Site. For example, when we collect credit card information, we use a secure server with Secure Socket Layer (SSL) encryption software and store such credit card information using encryption methods designed to prevent unauthorized access. Additionally, your account information is accessible online only through the use of a password. Please be aware, however, that despite our efforts, no security measures are perfect or impenetrable. To protect the confidentiality of your personal information, you must keep your password confidential and not disclose it to any other person. You are responsible for all uses of the Site by any person using your password. Please advise us immediately by emailing us if you believe your password has been misused. You should also note that email is not secure, and you should not send any confidential or sensitive information to us via an unsecured email.